Talk to Big City Insulation today for basement insulation services in the St. George or Washington, Utah area. Our specialists provide re-insulation services, new construction insulation services and renovation insulation services. We offer a wide array of basement insulation options to fit your needs. Although there are advantages and disadvantages of installing interior and exterior basement insulation, the choice is ultimately yours. Talk with one of Big City Insulation’s experts today and see what option is right for you. We can inspect your space and provide you with an estimate for your basement insulation project at no cost! 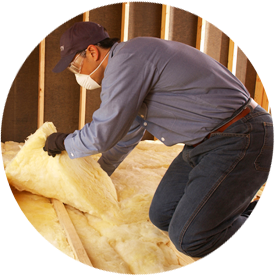 Here at Big City Insulation, we understand the importance of having properly installed insulation in the lower levels of your home (we also offer crawl space insulation). Insulating properly can not only significantly lower your energy costs, but it can also make your home more comfortable year round and help maintain or even increase its market value! If you are seeking expert advice for your basement insulation project, contact us today!